July 10, 2013 By Paul Mayer & filed under Buying Advice, Product Review. Although I normally cut dovetails with a Japanese saw and a set of quality chisels, I talk to a lot of woodworkers and I realize that the tedium of chopping dovetails by hand is not for everyone, particular those who have a large volume to cut with a deadline to meet. So I wanted to see if Porter-Cable’s large scale, variable spaced dovetail jig could offer flexibility similar to cutting them by hand, while delivering on a dovetail jig’s potential of performance, precision, and repeatability. To explore this, I spent some quality time in my shop with a Porter-Cable Omnijig, model 77240. The Omni-jig 77240 provides capacity to mill variable spaced through or half-blind dovetails on a work piece up to 24” wide and 1-1/2” thick. The Porter Cable Dovetail Jig system includes an adjustable finger template that can produce either through dovetails or half-blind dovetails using multiple passes. Additional templates are sold separately that provide the ability to create half blind dovetails in a single pass, box joints, miniature dovetails or sliding dovetails. Substantial. From the moment I helped the delivery driver remove the 79 pound package from the truck, I knew that this tool was not your typical dovetail jig. Milling dovetails is an exercise in precision, and the heft of the Omnijig design adds great stability to the process. High quality. Every component and subsystem is well thought out, and arguably overkill in construction, with fit and finish to impress even the most finicky woodworkers among us, such as myself. Great documentation. The set includes a nice user manual as well as on board documentation and a handy reference guide. The kit also includes an instructional DVD where Norm Abram walks through setting up and using the jig for various common applications which I found to be extremely helpful. After using it, here is what I found most impressive. Capacity. I can’t imagine ever needing to create a dovetail that spans more than 24”; that’s a lotta dovetail. This will allow for milling dovetails on large scale projects such as blanket chests, dressers, or other large casework projects. Sophisticated adjustable finger design. This design is ingenious, providing tremendous flexibility in laying out a pin/tail pattern. This also allows a user to build a project to a desired size without worrying about the dovetail pattern, compared to fixed dovetail jigs that require that a project be built to fit the pre-defined pattern. The adjustments are easy to make, and the pins lock solidly into position wherever they are placed. Serious locking mechanism to secure stock. Holding stock perfectly in place without any wandering is critical for milling tight fitting dovetails, and the Omnijig delivers superbly in this area. This locking mechanism is controlled by a single lever clamp, making it easy to hold the work piece in place with one hand while quickly clamping into position with the other. The on-board router bit depth gauges are brilliant. One of the hassles of using a typical dovetail jig can be getting the router bit set to the correct depth of cut. This can require a lot of trial and error, wasting excessive time and creating a great deal of firewood in the process. 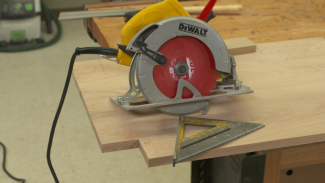 The unique feature provided on this jig allows a user to set this correctly on the first attempt, taking much of the guesswork out of dovetail construction. Setup Guide. There is a handy little “cheat sheet” included with the jig that tells you at a glance which stop, dovetail bit, and collar to use for a given setup. It is durably laminated, easy to read, and a nice bonus. It might seem like a small thing, but something I really appreciate as a companion to a system with this many variables. The less I need to remember, or figure out myself through trial and error, the better. On-board instructions. I don’t recall ever seeing a tool that was as “self referencing” as this one. Once the system is set up, everything that one would normally need to reference from the manual can be found on either the setup guide or the tool itself. Convenient Stabilizer bar. When milling dovetails on most jigs the router can tend to tip forward as it extends past the edge of the template, damaging the work piece. To prevent this, the Omnijig includes a stabilizer bar to support the router as it mills the outward edges of work piece. Perfect after a couple adjustments. My first attempt produced a fit that was a tad too loose. Following the simple on-board instructions I was able to get the joint dialed in nicely on the second attempt. Within just a couple hours of removing the Omnijg from its package I was creating dovetails that far exceeded the quality of any that I have ever produced with my hand cutting efforts, which met my expectations for this tool. I have to admit that part of me feels just a little guilty for being able to produce such perfectly fitting dovetails so quickly with such little effort, but I’m sure that feeling will pass. The system is high quality throughout, and I have no complaints about either the design or construction of the unit. There are a couple things to be aware of, however, and these are stated clearly on the packaging as well as the Porter-Cable web site so it should come as no surprise, but I believe that it is important to note that there are several accessories that are sold separately from the base system. 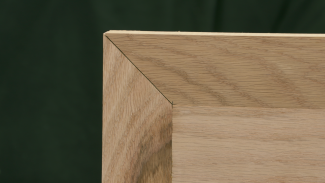 Essentially the core kit includes everything necessary to produce through dovetails in ¾” material. Additional items will need to be purchased to produce half blind, sliding, or miniature dovetails, as well as to work with materials of different thicknesses. I actually don’t mind this, as it allows users to buy just what they need for their own requirements, which can minimize their investment. 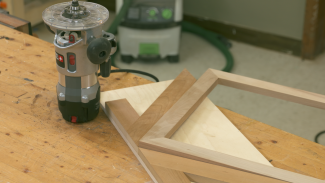 It’s also worth noting that the dust collection shroud is sold separately as well, and would be a good item to consider, as routing dovetails can be a messy operation. Who should own a 24” Omnijig? 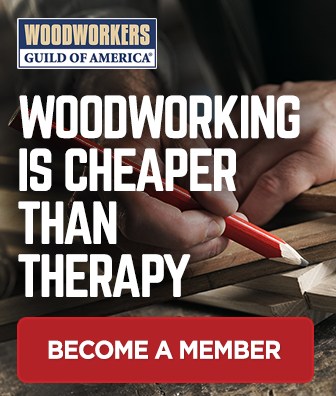 While I can’t imagine a power tool woodworker who wouldn’t enjoy using this tool and find opportunities to utilize its capabilities, I believe that it’s hefty size and high end price point position it for the serious hobbyist or professional that has budget and shop space available for this investment. This is a large format tool, so I would see it used primarily in shops that have the real estate to set up a dedicated workstation to support the Omnijig. Given its heavy duty design and robust feature set, I believe that this system would support the rigorous demands of a production environment for many years. I have this jig and have had considerable trouble getting through dove tails cut in 1/2 in stock. The four corners are not flush on the tops or bottoms and the first and last tails are so thin that they are prone to breaking off. I continue to struggle with the 1/8 inch space at either end and getting decent joints. If anyone has gotten this jig to work with through dove tails in 1/2 inch stock I would welcome any advice. I don’t understand why a review should be removed because PC is not selling this directly? There is a large used market for these as well as quite a few new ones still kicking around. I found this review rather helpful as I am currently looking to purchase a slightly used version of this. Tanner, I have one of these, used very little maybe only once. I would sell it if you are still looking. Norman, don’t really know why it didn’t sell or isn’t readily available, is the patent an issue or are you just guessing? I have this jig which is every bit as good as the Leigh DR4 which I also own.